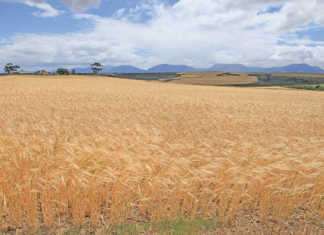 Home » Business » Agribusiness » New motors from old: Boland entrepreneurs to the rescue! Replacing a burnt-out electric motor can cost a great deal, whereas rewinding it can return it to tip-top condition at much lower cost. Rashad Williams and Fa-eez Appollis spoke to Jeandré du Preez about how their rewinding business saves farmers money and production downtime. Insulation is placed between the motor stator and the electric windings. Many farmers have dealt with the frustration of electric motor failure. Buying a new motor is not only expensive; locating, ordering and waiting for a suitable new motor can waste precious production time. However, most electrical motors can be repaired at a fraction of the cost of buying a new one, and it’s quicker than waiting for a new one to arrive. 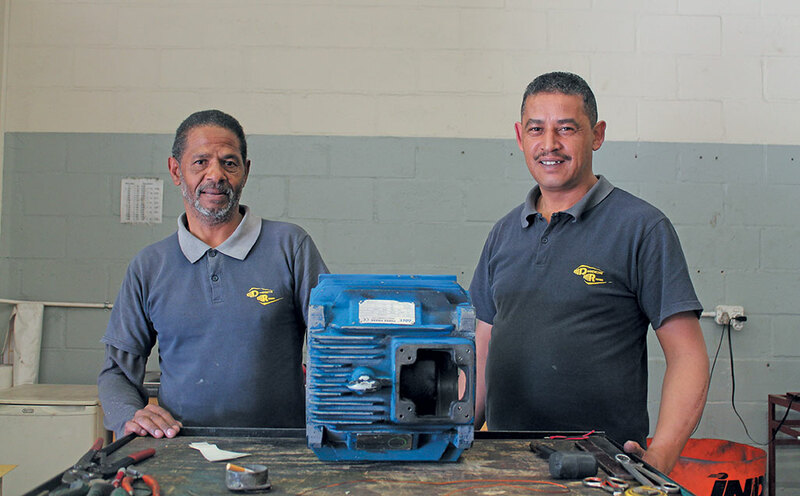 Rashad Williams and his brother-in-law, Fa-eez Appollis, offer this service through their co-owned business, Drakenstein Rewinds, near Wellington, where they rewind and overhaul electric motors. Both are experienced rewinders, with Rashad having spent most of his working life in the trade. Seven years ago, Rashad was retrenched. Undaunted, he took to working as an independent rewinder, diagnosing and repairing motors in his garage. Here he was joined by Fa-eez, and their services were soon in demand. 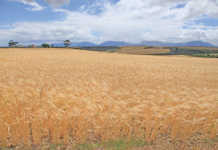 The pair realised that there was a gap in the market for a rewinding service in the Drakenstein area, and in 2014 they launched Drakenstein Rewinds. Starting small, they carried on working from Rashad’s garage, offering electric motor diagnosis, overhauls and repairs. Rashad Williams and brother-in-law Fa-eez Appollis of Drakenstein Rewinds. Their business specialises in electric motor rewinding and refurbishing. With business going well, they moved to larger premises earlier this year. Here they service motors from fruit and livestock farms, among others. Rashad emphasises that they are not limited to agricultural sector clients; they also repair household appliances. 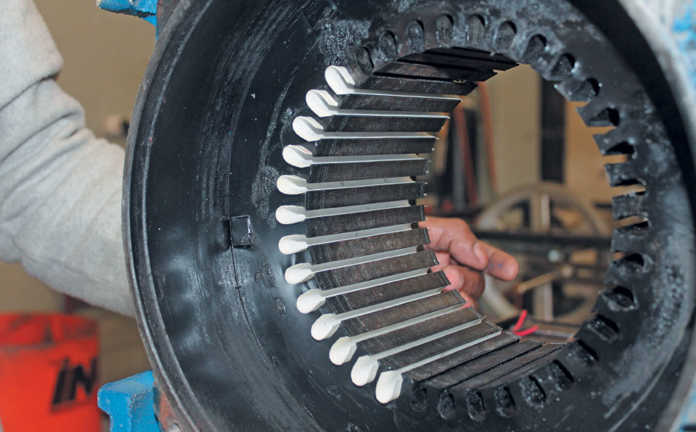 Diagnosing why a motor breaks down is an essential part of the rewinding process, according to Rashad, and their business has multiple tests and equipment “to jumpstart the repair process”. Before rewinding, they note the motor’s winding pattern. They then clean the motor slots and replace the old insulation materials. Only then are the new coil windings inserted into the motor, “Rewinding an electric motor is a delicate process and needs to be done with care. New coils are wound by hand on our coil-winding machine. The newly rewound coil is then immersed in varnish and baked for a period, depending on the size of the stator,” explains Rashad. The final step is to clean and spray-paint the motor casing. “Motors look as good as new when they leave our premises,” says Fa-eez, adding that all overhauled motors are tested for performance before being dispatched to the customer. At Drakenstein Rewinds, customer care is taken seriously. “Nobody ever starts their day planning for a motor to burn out, but when something goes wrong it can be extremely costly, especially when motor failure affects production in a business. We understand the repercussions of equipment failure, and it’s important to have a service solution,” says Fa-eez. Understanding the effects on production, the pair often work extra hours to complete repairs. In 2016, they bought a bakkie, making it possible for them to meet clients on-site to diagnose problems. This reduces turnaround time on repairs, a boon for clients. Drakenstein Rewinds’ big moment arrived when their business was chosen last year to participate in SAB’s Tholoana Enterprise Programme. It was the only small business chosen from the Boland region, and beat some 2 000 applicants countrywide to one of the 46 seats in the programme. “I got a link from the Small Enterprise Development Agency (Seda), an agency which assisted us with our marketing for two years. I completed an application form, after which we were invited to attend a two-day workshop,” Fa-eez recalls. After the workshop, a site visit confirmed the authenticity of the business, and later in the year Rashad and Fa-eez learnt that they had been chosen to participate in the programme. Successful Tholoana participants receive mentorship, skills training workshops, business support, and, importantly, grant finance. Drakenstein Rewinds received a R200 000 grant, with which they bought a press machine, among other necessary tools, that has significantly improved efficiency and reduced turnaround time. They also received a one-year sponsorship, after which Drakenstein Rewinds must pay a minimal fee for SMEasy, an online business management and accounting system. This made their bookkeeping system much easier, according to Fa-eez. He adds that the two-year programme also provided practical training and personal mentoring, which bolstered their business confidence. He speaks highly of Kevan Wright, their mentor, who tutored them in the SMEasy system. Kevan is from the Fetola Enterprise Group, which has partnered with the SAB Foundation since 2016. Fetola is a business development, training and mentorship organisation. The financial knowledge gained from the workshops has been invaluable, according to Fa-eez, and is well-suited to their business. Moreover, Kevan is “just a phone call away” to provide any assistance. “The workshops have also boosted my self-confidence as I’m now more comfortable to meet with potential clients. Rahad and Fa-eez have big plans for the future and envision becoming the largest and best rewinding shop in the Drakenstein area. “We want to invest heavily in marketing because that’s what initiates and drives business. But we also want to be renowned for providing the best service,” says Fa-eez. In light of this, Drakenstein Rewinds is keen to employ an administrative assistant. 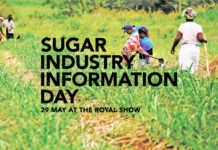 This will free Fa-eez up to focus on marketing. Rashad and Fa-eez also plan to hire an apprentice to pass on knowledge of their trade. Phone Drakenstein Rewinds on 021 0200 658, or email [email protected]. To learn more about the Tholoana Enterprise Programme, visit sabfoundation.co.za.